Most parents will have to suffer through their baby getting a cold, and it is not nice thinking that there is nothing you can do to help them. However there are some home remedies that can be very effective. 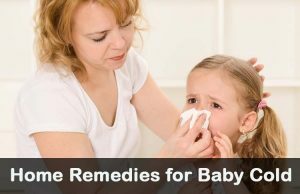 Make sure to take the advice of the pediatrician or general doctor while using these remedies. Here are some common symptoms found. If it is severe, immediately consult your doctor. Nasal discharge which is clear at starting stage & then usually becomes thicker & turns into shades of yellow or a little of green. Follow these simple home remedies to make them feel free from cold. Breathing moist air (from humidifier or cool mist vaporizer) will help to loosen the mucous in the nasal passages. A bath with warm water will be an added advantage. Put a humidifier or cool mist vaporizer in your child bed room. Give your baby, a warm bath in a steamy bathroom. For children above 2 years, add few drops of menthol oil in the bath tub. If you feel it’s not the correct time to bath a baby, simply pour hot water in bath tub & close all the bathroom doors to get steam and stay there for 15 minutes. Saline drops & bulb syringes clears the mucus to give relief from a cold. Lay down your baby with a rolled-up towel to support the head. Drop 2-3 saline drops in your baby nose. Remove the air from a rubber bulb syringe by applying pressure. Place it near one nostril and close the other nostril with your finger. Slowly release the pressure from bulb syringe to clean the nostril of your baby. Vapor are available for 3 months and for olders. Commercial vapor rubs contains petrolatum, oils & eucalyptus. Take a vapor rub in your hand. Apply it on your babies chest, back & neck and gently massage. Do not to put the vapor rub on any broken or sensitive skin or on a child’s face. Preventing child from dehydration is very important. So, drinking plenty of fluids hydrated & flushes and thins your child nasal secretions. Breast milk or bottle milk is essential for babies younger than 6 months. Give fruit smoothies, ice pops made from pure juice, & other health beverages for babies above 6 months & up. Get advice from the doctor before using this method. Warm liquids relieve congestion and chicken soup gives relief from cold symptoms which were proved by studies & experiments. Make chicken soup and serve it warm. Canned soups also work well. If the child is more than 6 months of age, they can have natural herbal tea. Other drinks your child likes can also be served warm. Coconut oil contains lauric acid, which is anti microbial fatty acid that helps in protecting the immune system. Make sure that not to put the oil in their nose. Or massage baby with the coconut oil. Or ingest 2 teaspoons per day to boost their immune system. Breast milk is rich in anantibiotic property which is specific to your baby’s environment. This is the reason why breast fed infant contract lesser infections compared to those who are given formula. Breastfeed baby as much as possible. Or you can squirt breast milk into your baby’s nose but not too much. Nutmeg reduces the cold when applied to the chest. Remove the shells of 7-8 pieces of Nutmeg (Jayfal). Grind the inside seeds to make a fine & soft powder. Add a few drops of water and mix well. Honey will coat & soothe the throat & helps in reducing a cough. Don’t give honey to the babies less than 1 year. Warm up ½ to 1 tbs of honey and give to your child directly. Optional: you can add warm water & a little bit of lemon juice. Neti pot, when used with a mild saline solution, flushes through the nasal passages, moisturizing the area & thinning the mucous. Mix 1/2 teaspoon of salt into a cup of lukewarm sterile / distilled or treated tap water. Put this mixture into a neti pot. Tilt child head to one side & put the spout of the neti pot deep in one nostril. The water will come out from the other nostril, removing the mucus. Use a tissue to clean the remaining mucus. Only use on children 4 years or above. Put an additional towels or pillow under your baby head when they are sleeping. Make sure that you don’t overdo it. Only use this on children over the age of 1. This remedy is applicable only for child of 2 years age or above. Clearing the nose of mucus will help the children to breathe smoothly & makes them feel comfortable while sleeping. However, tell them not to over blow their nose as it will damage the ears & eardrums. Teach them to wash their hands after blowing to prevent germs spreading. Allow the baby to take rest as much as possible. Keep your baby away from ill people. Clean your baby toys & the surrounding area. If your child is suffering with fever, then give a five minutes sponge bath in lukewarm water. Try the medications by following the advice of your doctor. 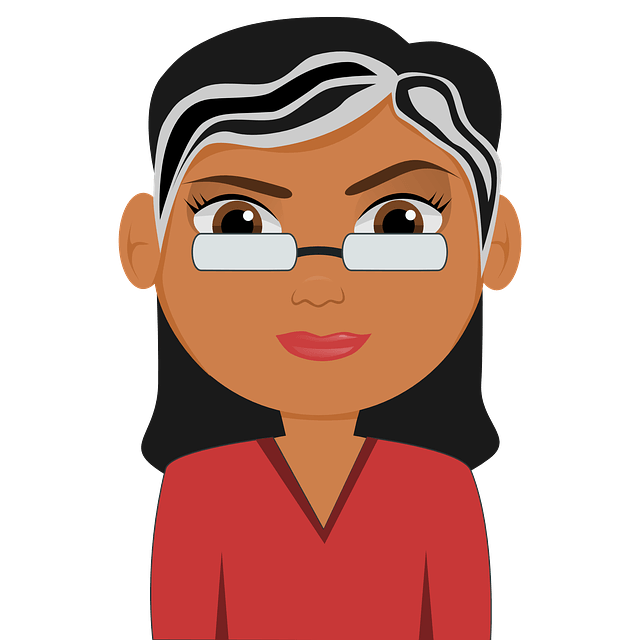 Use Nosefrida to safely remove the mucus with an aspirator. Nursing upright gives faster relief from the cold & its symptoms. Carry your baby upright to drain the mucus. Other than vapor rubs, you can also use essential oils to massage on baby chest, back & feet to get relief from the cold. The recommended oils are lemon, Lavender, eucalyptus or sandalwood but don’t use peppermint oil. Do not use this essential on infant or newly born babies. Apply petroleum jelly to your baby’s nose (outside), which helps to reduce the irritation. Do not give aspirin to your babies, it trigger on the rare condition called Reye’s syndrome, which makes the condition fatal. Call your doctor when your baby starts rubbing at their ears or cries when sucking during the feeding. Do you know any other remedies which you used to treat you baby cold? Do not forget to share with us.